The new uniforms will be red, white and blue in honor of the nation’s capital and will also align the Valor team with all of the Monumental Sports & Entertainment properties. The “W” on the compression sleeves and on the back of the jersey represents Washington while the stars on the uniforms represent D.C. 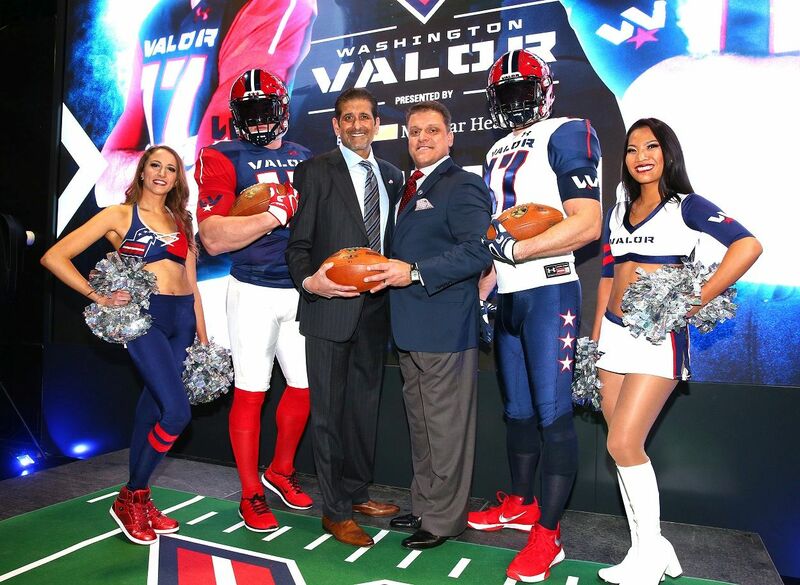 Attached are pictures of the Washington Valor home and away uniforms and helmets with co-owner and managing partner Roger Mody and head coach Dean Cokinos. Visit www.washingtonvalor.com for more information.